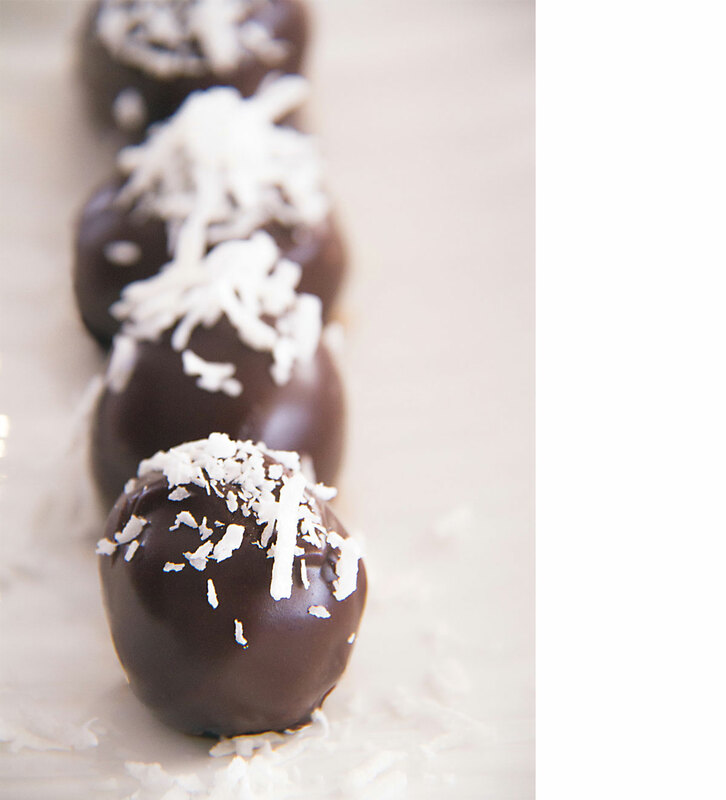 These delicious truffle balls are made with only a few simple ingredients, using Leda’s Gojo’s biscuits allows for an amazing gluten free treat that will impress family and friends. A simple swap for dairy free cream cheese which can be found in select healthfood stores can turn this gluten free delight into a versatile gluten and dairy free recipe suitable for vegans. Place the Gojo’s cookies in the bowl of a food processor and pulse until finely ground. Add the cream cheese (or vegan cream cheese) and until the mixture is well combined and smooth. Line an oven tray with baking paper. Scoop the mixture into balls about 2cm in diameter. Place the cookie balls in the freezer until well chilled, at least 1 hour or overnight. Drop each cookie ball into melted chocolate, coating evenly. Remove with a fork, gently tapping off excess chocolate. Place back on cookie sheet and immediately sprinkle with the coconut. Repeat with the remaining cookie balls.